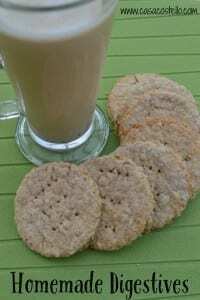 I wanted a biscuit that was not too sweet to go with all the icing on these Mummies – I’m determined that this year, my girls won’t feel left out at Halloween but will also manage not to eat as much processed, sugary rubbish. Well, that’s the plan so far anyway! The ideal biscuit is the digestive – Oaty and not too much sugar. I made my own in less than 20 minutes but obviously used shop bought if you need to be even quicker. Place the flour, sugar and oats into a bowl and rub in the butter with your fingertips until just combined. 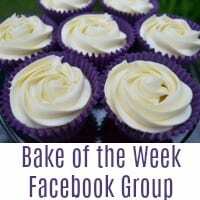 My featured Bake of the Week this week, comes from Jibber Jabber with her Cut & Come Again Cake – I love the idea behind this cake in that its all about friendship. Ness shared this cake at her local Clandestine Cake club (Which reminds me I haven’t been to one near me for ages! Must remedy that asap). 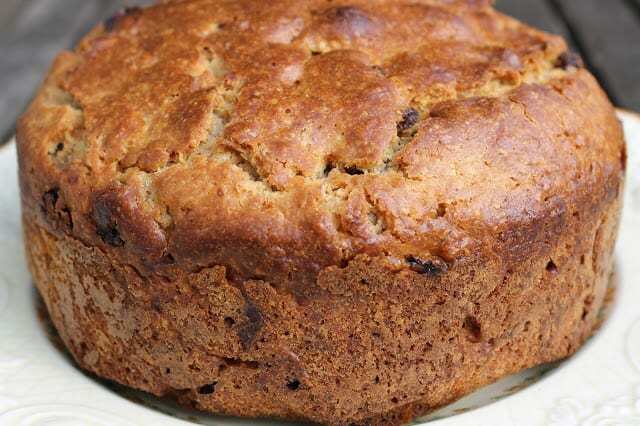 This cake can be be prepared and baked in less than an hour – all in case of unexpected friends popping in. 2. Making Brownies even more spectacular with her Raspberry Fudge Brownies is Tin & Thyme – These remind me that I really must join in with We Should Cocoa this month! 4. 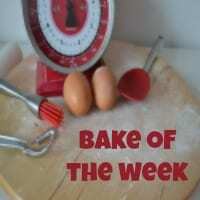 More Halloween Cookies and a welcome return to the Bake of the Week family is Julie’s Family Kitchen. 5. If you like your chocolate then this Chocolate Croissant Bread & Butter Pudding is the one for you! Many thanks to De Tour Coeur Limousin for the recipe. 6. These amazing Chocolate Salted caramel Hazelnut Tarts are what Domestic Gothess produces after a mini blogging break. Just incredible! 7. Beautiful Chocolate Apples (even with the help of the children) from Et Speaks From Home. 8. I am so tempted to see what the combination of these flavours taste like in Winnie’s Apple Tart with Nuts – There’s Caramel & Cinnamon in there too! The overall look is a work of beauty. 9. 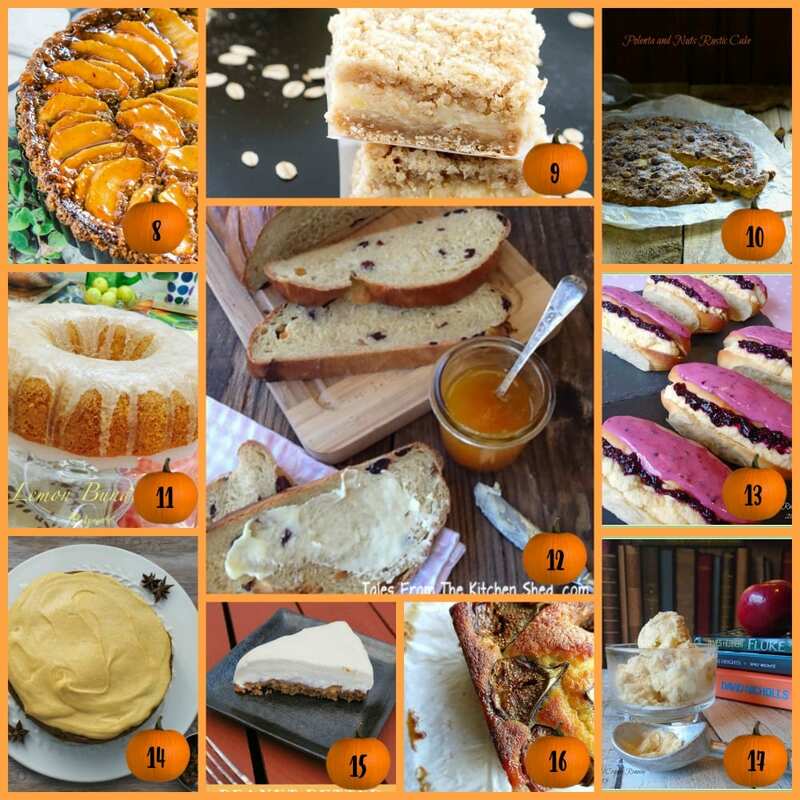 Another beautiful bake and quite a light one is Winnie’s Oatmeal Lemon Bars – I love using Oats in cooking so am definitely bookmarking this one! 11. Happy Birthday to Pot Pourri , who was celebrating with her tarty and zingy Lemon Bundt with lemon frosting. 13. No boring Iced Fingers for Only Crumbs Remain – We have Barm Brack Fingers with Blackberries & White Chocolate. Fabulous! 14. Reminding me that I have never yet tried a Pumpkin Spice Latte in a well known coffee shop is Baking Queen 74. I would love to try her Slow Cooker Spiced Pumpkin Cake though! 15. What a great alternative base for a cheesecake to use Peanut Butter – This Cheesecake from ET Speaks From Home sounds divine. 16. Truly beautiful and inspired flavours from Lancashire Food with her Fig, Yogurt & Rosemary Loaf Cake – Those figs are just a stunning addition! The linky is now open for your entries – Up to 3 from each blog please. All entries are linked to in the next roundup as well as commented, Pinned, Google+ed and tweeted – I do get round to them, I promise! If you tweet your entry and tag me in @CasaCostello then I will also retweet. 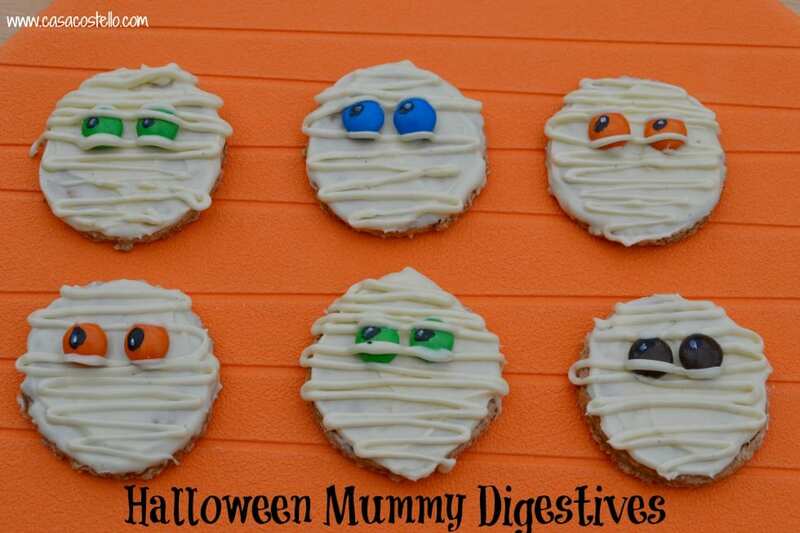 Your decorated Halloween digestive biscuits look great Helen, it’s amazing how effective simple bakes can be. These biscuits are soooooooooo cute!! Thanks Winnie – I can’t say I’m the world’s biggest fan of Halloween but I seem to have got stuck in this year! Such a good idea for Halloween and the biscuits would be lovely at other times too, always good to have a standby biscuit recipe! 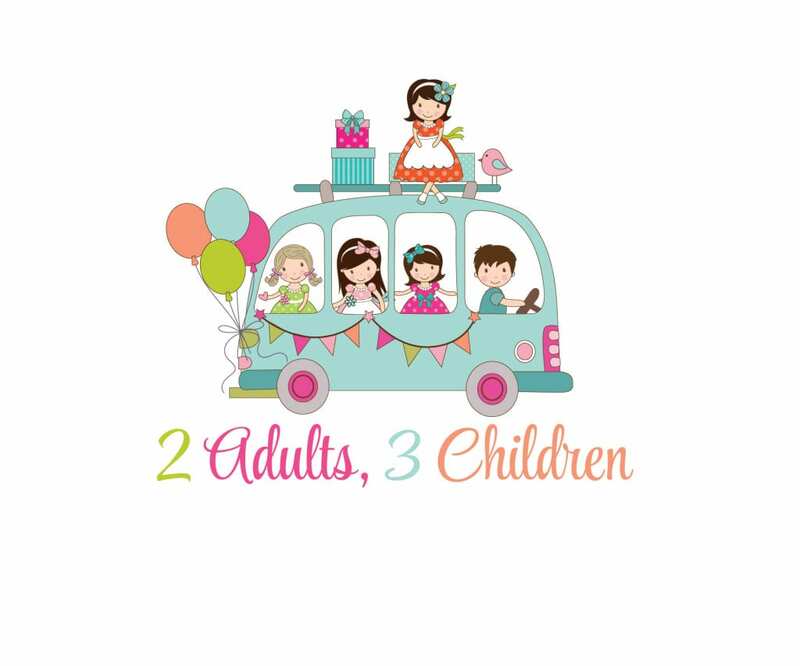 I love how quick they were – Perfect for the dreaded moment when the kids are searching the empty biscuit barrel! Thanks for featuring my cake. It’s so nice being able to bake for friends and a jolly good excuse to eat cake as well! These halloween biscuits look great. I will have to try out this recipe with my kids during half term. What a fab idea! I’m off to Pin this to make these for Halloween my daughter would love to make these with me! What a clever idea! And making your own digestive biscuits too. I may cheat and use shop bought digestives to try this out ? What a lovely idea for a linky. 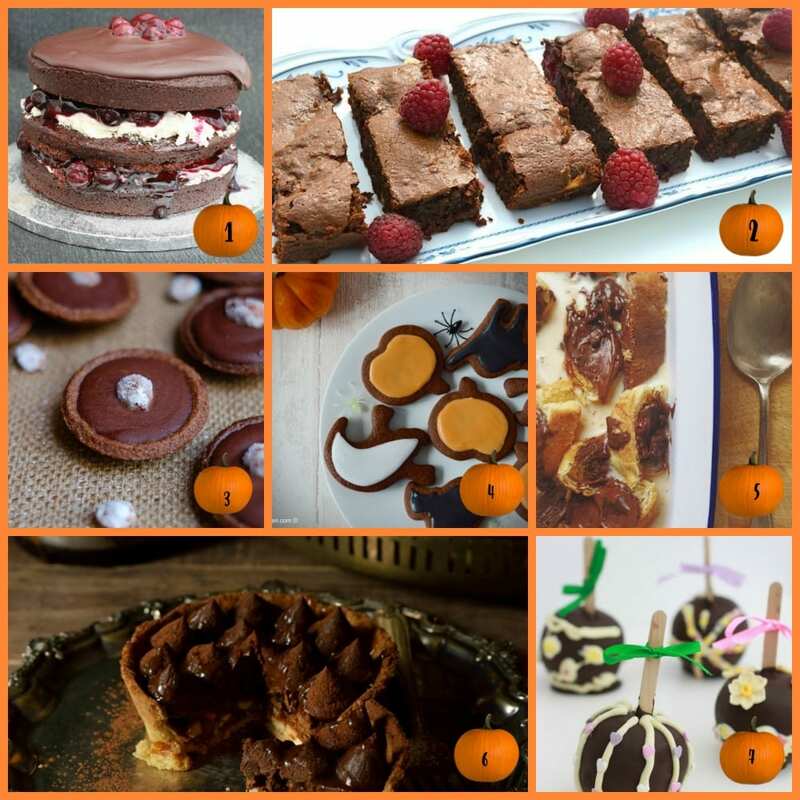 There até some amazing looking bakes featured. 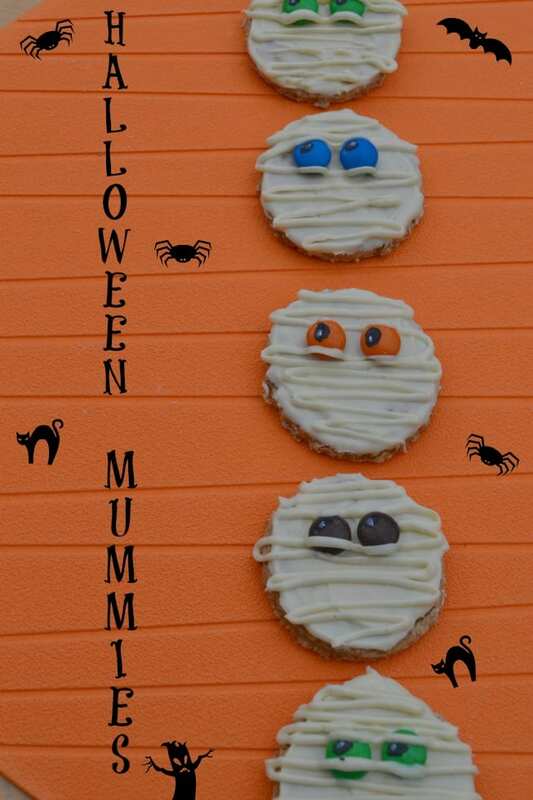 And your mummy biscuits are awesome looking! These look delicious. Definitely something that I can manage with my little girl despite my limited skills! Have fun making them! I’m sure your little one will too!